Currently we are familiar ground transportation such as a bicycle, skateboard, motorcycle or car. 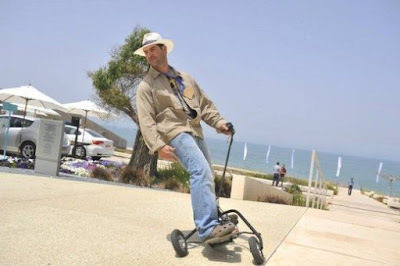 But the man from Israel named Eyal Aloni has a unique technological innovation of the 3-wheeled board named 'TLT Board'. 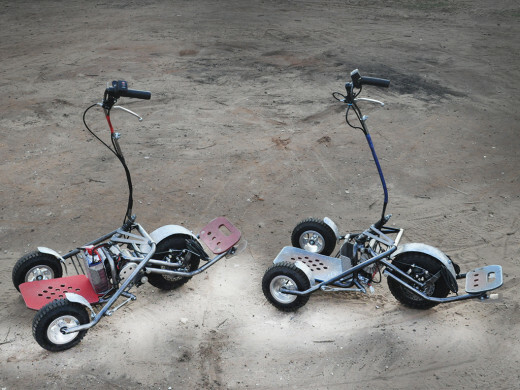 As quoted from TLT Board site on Wednesday, February 3, 2016, Eyal Aloni made an innovation of electric 3-wheeled board technology that uses the power from the battery. By relying on two 6.6Ah, 24v batteries, the 3-wheeled TLT's is able to ride as far as 12 km with a maximum speed of 30 km/h. TLT Board adopted a skateboard agility and ease of driving with an automatic motorcycle. So, Aloni makes his TLT Board fully matic. This unique vehicle is equipped with two footrests like a skateboard. TLT Board also equipped with speed control and brake handles are designed flexible and elastic. TLT Board technological innovation can be used in all areas of land such as rocks, grass, and even asphalt. Eyal Aloni has developed this vehicle for seven years and there have been 15 attempted a similar tool for the creation of a TLT Board which is currently ready to be marketed.